"Notes From the Road: Melbourne #2"
There’s a full moon in Melbourne and the Jersey Devil is in town for round two at Aami Park. The band hit the stage and … there’s no Bruce. After a little ‘on the boards bemusement’ Springsteen appears with a ‘I’m late for my own show’ and the band kick into a stadium thumping “Born In The U.S.A“. Mighty Max Weinberg impresses on the kit and the crowd are immediately on side. “Badlands” is next and it illustrates how terrific Curtis, Cindy and Michelle are with their backing vocals. As Bruce hits the refrain, the song starts to soar. What’s a Springsteen show without a curveball and out comes the Australian tour debut of “Lucky Town” that features some dazzling guitar. Keeping the mood up Bruce calls for one of the greatest ‘b-sides’ of all time, “Roulette“. Roy’s piano chimes out the introduction to “Growing Up” and Bruce sits at the foot of the stage and tells a story about his grandma who was ‘not quite right’. As a toddler Bruce would stay up after the late, late show and go to bed at 3am. During his monologue he ruminated on black and white Superman episodes, test patterns on the televisions and how awkward it is for a kid who gets up at 3pm to fit into school life. Thankfully he found a job that could match those hours and confessed that one of his ‘little victories in life’ was now being allowed to get up for work at 3pm. The cosmic kid had arrived. 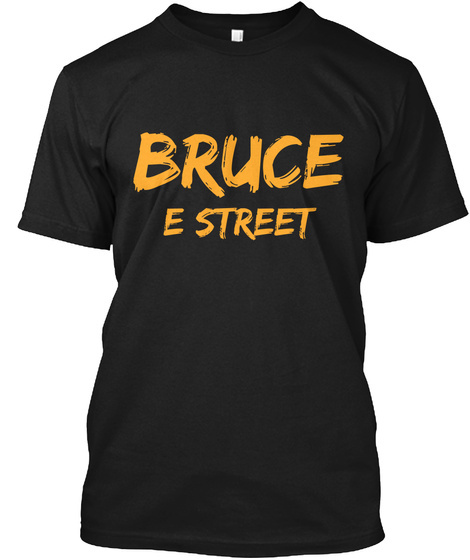 Running the gamut of his career, Bruce then reached for more contemporary material playing “Wrecking Ball” and three tunes from his current High Hopes album: “Death To My Hometown“, “High Hopes” itself and “Just Like Fire Would“. The latter, now enjoying radio play in Australia, has caught alight with fans. As the venue slid into darkness Bruce began a sign request for “Lost In The Flood“. Next came another monologue as Bruce sat at the foot of the stage and let us into a little secret that ‘no one fucked in the fifties’ and he had no idea how he ‘got here’. Recalling frozen over lakes, parked cars and the myth of the Jersey Devil, the band playing a swaggering “Spirit In The Night“. Making it clear how he felt about Australian audiences, Bruce had planned something special: the Born To Run album played in its’ entirety. It’s a first for Australia. “Thunder Road” sounded gorgeous with its full electric arrangement. The horns were front and centre for “Tenth Avenue Freeze-Out“. Night was taut and rocking. Backstreets was the emotional high point of the night: especially as Bruce’s voice displayed its vulnerability during the “Sad Eyes interlude“. The house lights were up for “Born To Run“, while “She’s The One” sounded as hard as nails as Bruce played those rockabilly slides down the fret board on his Fender. Curt Ramm, Roy Bittan and Gary Tallent should all take a bow for a masterful Meeting Across The River: while a stunning “Jungleland” closed the album. You don’t get to hear a masterpiece every day of the week: and this was ours in Melbourne. “Heaven’s Wall“, a genuine High Hopes highlight, was next, followed by “Waitin’ On A Sunny Day” (replete with two cute kids to sing the chorus – and Kevin Buell to provide the count in), “The Rising” (which was enhanced by great lights), “The Ghost Of Tom Joad” and “Land of Hopes and Dreams“. Despite being given a note to say curfew would be broken in ten minutes, Bruce took an acoustic guitar to dedicate, in a fashion, “We Are Alive” to the spirits of Nelson Mandela and the recently departed Pete Seeger. Later “Are you ready to get the party started?’ bellowed Bruce and he got a resounding ‘yes’ for his trouble. “Ramrod“, “Bobby Jean“, “Dancing In The Dark” and “Twist and Shout” closed the night. But, Bruce still had something more to say. He did it with an absolutely threadbare reading of “This Hard Land“. If anything, this weekend restored faith in all that is great in rock and roll. As the man sang in the closing minutes … ‘Stay hard/stay hungry/stay alive’. What a mantra to leave us with.